the course of two days! The athletes were Lea Davison, a two-time Olympian Mountain Biker (2012 & 2016), and Gediminas Grinius a decorated Lithuanian trail runner. Some very fit, athletically decorated media personnel underwent testing as well. The athletes were able to undergo heat and sweat testing, where they exercised for 60-minutes total. Because it was a hot environment, the athletes were asked to collect their sweat in a specially prepared towel,and atthe end of their hour, we didwhole-body wash downs to collect samples to assess their sweat electrolyte concentrations. Whole-body wash downs are the gold standard for assessing whole-body sweat electrolyte concentration and very few labs across the country still use this technique. Many have moved over to local collection in sweat pouches, which is a great method of assessing local sweat, but not necessarily valid for whole-body calculations. The athletes were also able to complete an anaerobic threshold test or a VO2max test where we tested their ability to ward-off an accumulation of lactate (a by-product of anaerobic metabolism) where we could extrapolate their anaerobic threshold based on continual readings, or their maximal oxygen uptake by exercising until volitional fatigue, respectively. This was a great opportunity for KSI and allowed us to use our expertise to interact with some incredible athletes. This past week (December 5-9th), I had the pleasure of representing KSI at the 6th International Conference on the Physiology and Pharmacology of Temperature Regulation. This conference is a biannual conference held in different locations around the world that brings together the world’s leading thermal physiologists to present on topics from a basic (cellular and molecular) level of thermal physiology to clinical and applied applications of that research. 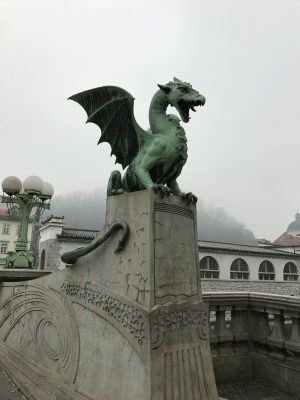 This year’s conference was held in Ljubljana, Slovenia, the patron city of Saint George, which is located in the central part of Slovenia. The meeting started with an in depth discussion on the association of climate change on health. A European-based project, HEAT-SHIELD, was introduced to the audience which is a group tasked with developing guidelines and policies to handle heat stress from various aspects associated with climate change. The development of a well-rounded set of guidelines is needed to address this issue, especially as Europe is seeing the effects of increasing environmental conditions and a large migration of persons from other areas in the world, which when coupled together may cause downstream detrimental effects on health as a whole. 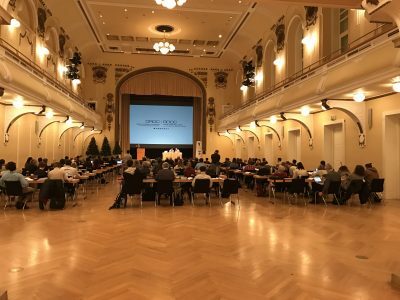 The conference continued with various symposiums, oral presentations and poster presentations on topics related to inflammation and the thermal response, fever, metabolic influences on thermal physiology, and the influence of exercise on thermal physiology. I had the pleasure of presenting some data that I collected examining the influence of hydration on body temperature and heart rate responses during repeated bouts of exercise in the heat. The talk was well received and it prompted some great discussion amongst other physiologists. It was great being able to meet new friends, connect with others and to discuss future collaborative work with some excellent researchers. The opportunity to attend this conference and to see the beautiful city of Ljubljana was an extremely rewarding experience and I would encourage anyone that does research in this area to attend the 2018 Conference in Split, Croatia. 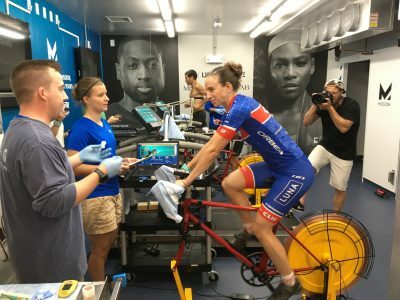 On September 15th and 16th, KSI gathered experts in the field of hydration to help clarify the hydration advice athletes, coaches and parents are receiving. 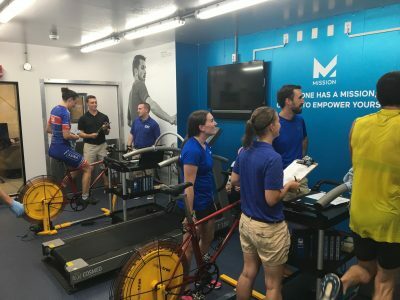 The meeting, Practical Hydration Solutions for Sports and the Physically Active, was convened at the University of Connecticut to help provide situation specific information that can be easily interpreted and applied by those looking to optimize performance. With representatives from the UK, Australia, New Zealand, Canada and all over the US, KSI is working to change the way hydration advice is provided to those looking to improve their athletic performance. In light of increased attention to what, when and how athletes should drink, the purpose of this meeting was to help clarify what an athlete can do to optimize performance through hydration. Experts in the field went through over 20 different sports to help identify the specific factors that may influence hydration status for athletes in those sports. 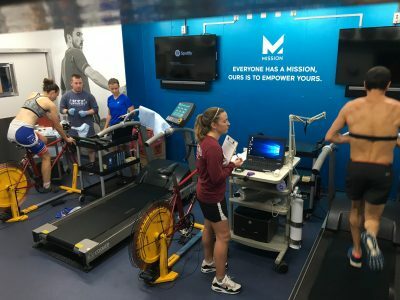 Specifically, the group evaluated the evidence to determine risk of dehydration and over hydration for each athletic situation to help athletes understand what hydration strategies may work best for their sports. The roundtable meeting focused around two deliverables, a scientific publication featuring the overall results and one-page sport-specific documents that can be easily distributed to those participating in a given sport. It is our hope that these documents can help clarify what the best practices are for performance optimization through hydration in a given sports situation. This past weekend, KSI’s Vice President of Sport Safety William Adams, PhD, ATC and Director of Communication and Education Yuri Hosokawa, MAT, ATC were in attendance at the first annual concussion summit held at Colby College, hosted by the Concussion Institute at Colby College. 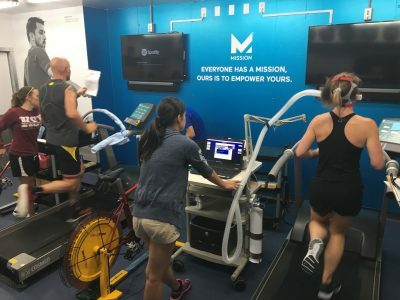 They joined representatives from the National Athletic Trainers’ Association, as well as faculty members from the University of New Hampshire, University of Pittsburgh, Colby College and others. 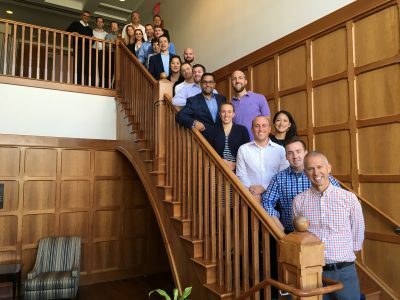 The purpose of the meeting was to discuss the diagnosis and management of concussion and to establish the next steps that are needed from a research perspective to enhance clinician’s objective assessment of concussion in athletes. The meeting concluded with an action plan to examine specific areas of concussion diagnosis and management to continue to add to the body of scientific literature surrounding the validity and reliability of tools that clinicians can use in their toolbox for concussion management. Following the concussion summit, KSI traveled south to Portland, Maine for the Beach to Beacon Road Race. The race weekend began with the medical symposium, where both William Adams and Yuri Hosokawa were two of the invited speakers. 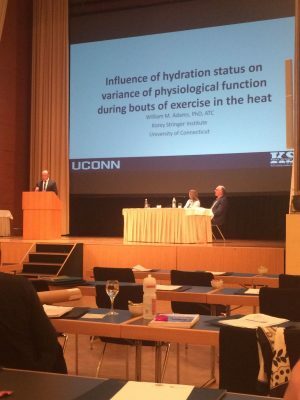 Adams spoke on hydration in today’s athletes while Hosokawa presented a case series examining the treatment and management of two exertional cases recently published by Stearns et al. in Current Sports Medicine Reports. 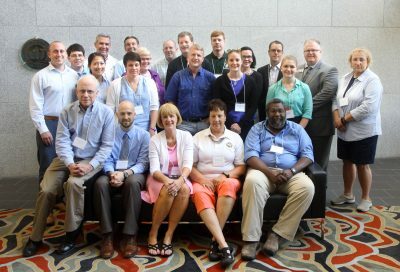 The symposium was a huge hit and was extremely well received by all of the attendees. The road race occurred on Saturday in Cape Elizabeth, Maine. 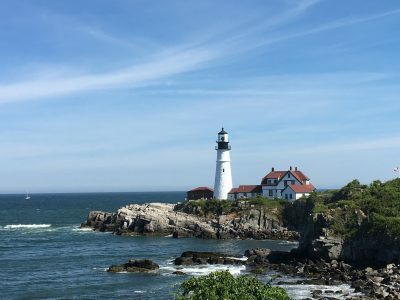 For those unfamiliar, Beach to Beacon is a 10-kilometer (6.1 mile) road race finishing at the picturesque Portland Headlight Lighthouse in Fort Williams. 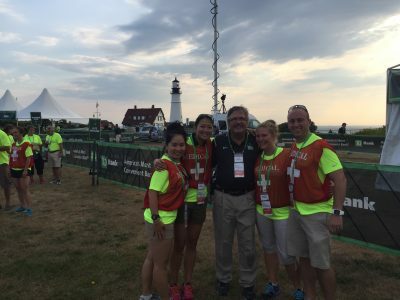 KSI staff members William Adams, Yuri Hosokawa and Samm Scarneo had the opportunity to volunteer as medical staff during the race. The day finished off with roughly 6,500 runners finishing the race and the medical volunteers providing excellent care to those needing it, including four individuals who had suffered exertional heat stroke. The best part of the race weekend were the new friendships that were made with the other physicians, nurses and athletic trainers who were also volunteering in the medical tent. Exertional hyponatremia (EH) is a rare, yet potentially fatal condition that is associated with a serum sodium concentration less than 130mEq/L. There are two common causes for this lack of sodium in the blood, which are: (1) an individual ingests fluid replacement beverages well beyond sweat losses, and (2) an individual’s sodium losses through sweat are not replaced adequately. There are many risk factors for developing this condition, but a few key factors are overhydration, participating in events that last longer than four hours, and gender. Many individuals think that the more fluid they ingest, the better for their body it is during exercise. This is not always the case. By over hydrating, you are setting yourself up for EH due to sodium depletion. Secondly, by competing in exercise greater than four hours, an individual tends to drink more fluid due to the increased time, which would again set them up for sodium depletion both from sweating and overhydrating. And lastly, gender does play a role. EH is more commonly found in females due to their generally small stature. The theory is the smaller the body mass index, the more effect overhydrating will have on the body due to having a smaller mass to dilute. The signs and symptoms, as well as treatment, of EH are outlined in Table 1. Mild symptoms generally occur with a serum sodium concentration between 135-130mEq/L. 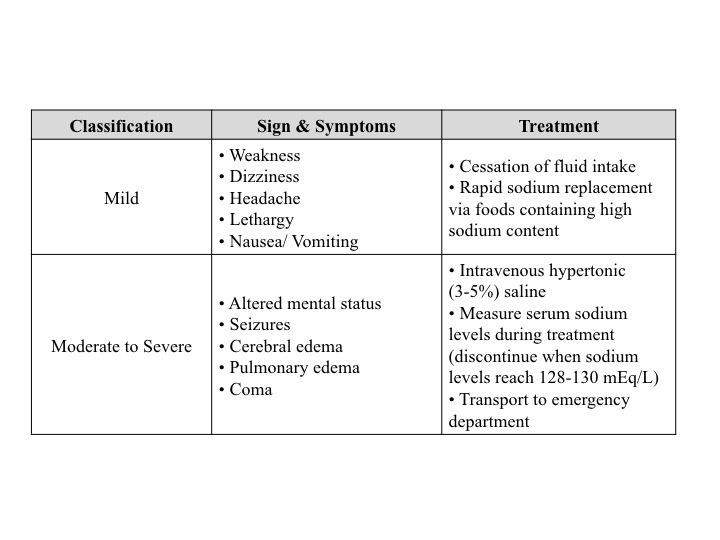 Moderate to severe symptoms start to occur when serum sodium concentrations start falling below 130mEq/L. 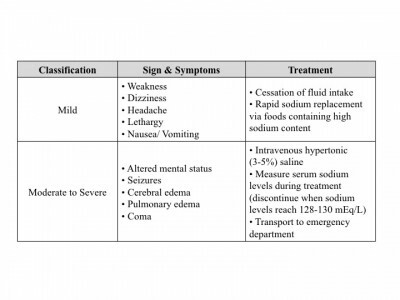 The lower the sodium concentration, the faster an individual will decline in health, and if they are not treated appropriately EH possibly will result in death due to encephalopathy. There are many ways to implement prevention strategies to mitigate the risk of suffering from EH, which include but are not limited to: (1) education on fluid intake before, during, and after competition, (2) maintaining a healthy diet that incorporates appropriate sodium intake, and (3) creating individualized fluid replacement protocols. 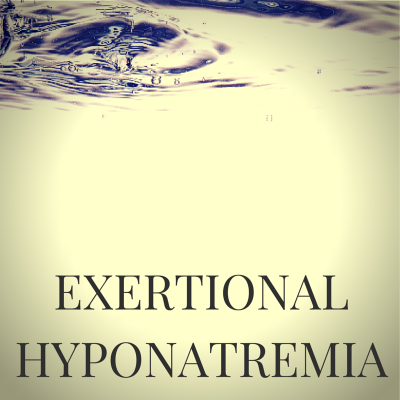 Proper education on hydration is a key feature to preventing EH by letting individuals know what is appropriate so they do not overhydrate. Prior to exercise, an individual would want to be hydrated; but what does that mean? Proper pre-exercise hydration includes consuming 500-600mL of water or sports drink two to three hours before exercising, and then consuming 200-300mL 10-20 minutes before. Appropriate hydration during an event is crucial as well, and generally includes consuming 200-300mL every 10-20 minutes. And lastly, post-exercise hydration aims to correct any fluid loss during exercise by consuming fluid containing water, carbohydrates, and electrolytes within two hours of exercise completion. Maintaining a healthy diet that incorporates correct sodium intake for your exercise is also important. Dietary sodium supports normal body maintenance of fluid balance and can help prevent muscle cramps, heat exhaustion, and EH. This is especially important for those individuals exercising in hot weather due to the excess sodium depletion through sweating. It is significant to note that sports drinks generally contain low levels of sodium relative to blood, and should not be the only source of sodium replenishment. Instead, eat salty foods such as soup or pretzels prior to exercise while using sports drink as a supplement the diet. Lastly, creating individual fluid replacement protocols is the most effective way to prevent EH. An individualized fluid prescription incorporates, but is not limited to, factors such as: (1) sweat rate, (2) sport dynamics (rest breaks, access to fluid), (3) environmental factors, (4) acclimatization state, (5) exercise duration, (6) exercise intensity, (7) gastric emptying/intestinal absorption, and (8) individual preferences. Some individuals sweat more than others; have a slower gastric emptying rate; have different fitness/heat acclimatization status; etc. which all lead to different fluid replacement protocols. These protocols should always be individualized and not generalized to maximize performance and to mitigate the risk of suffering from EH. Everyone is different, and their fluid replacement protocols should be no exception.